Chhath or Chhath Puja is an ancient Hindu Vedic festival historically native to Nepal and Indian states of Bihar, Jharkhand and Uttar Pradesh. 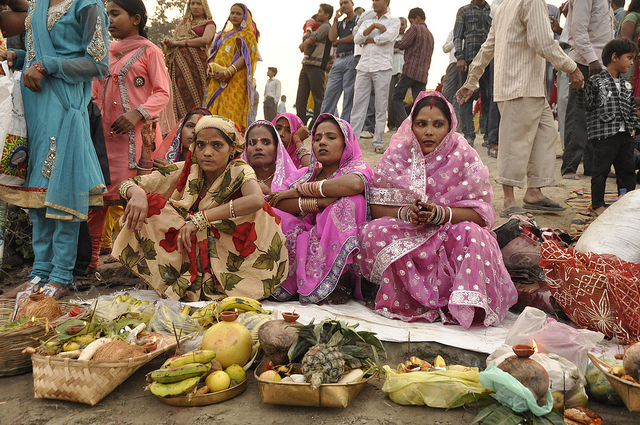 Chhath Puja, also known as Chhath Parva or Dala Chhath or Surya Shasthi is celebrated six to seven days after Diwali. It is four day long festival which includes four days of worshipping Surya bhagwan or Sun God, the god of energy. 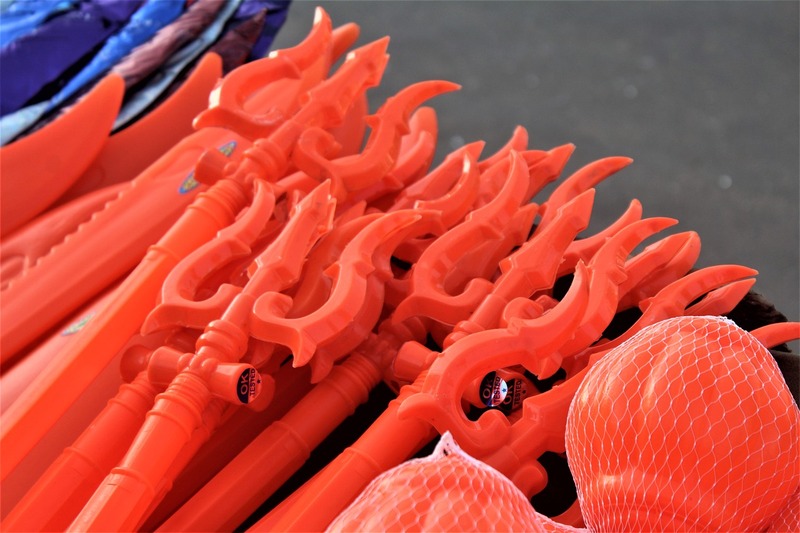 Devotees follow certain rituals on all four days as each day has a significant custom attached to it. Millions of people celebrate this festival with utmost dedication and is also counted among one of the most important festivals for people in the native regions of Bihar, Jharkhand, Uttar Pradesh and some places in Nepal. Not many people know this but Chhath Puja is one of the oldest festivals of India with ancient Indian evidence pointing to it being so. Why is Chhath Puja Celebrated? 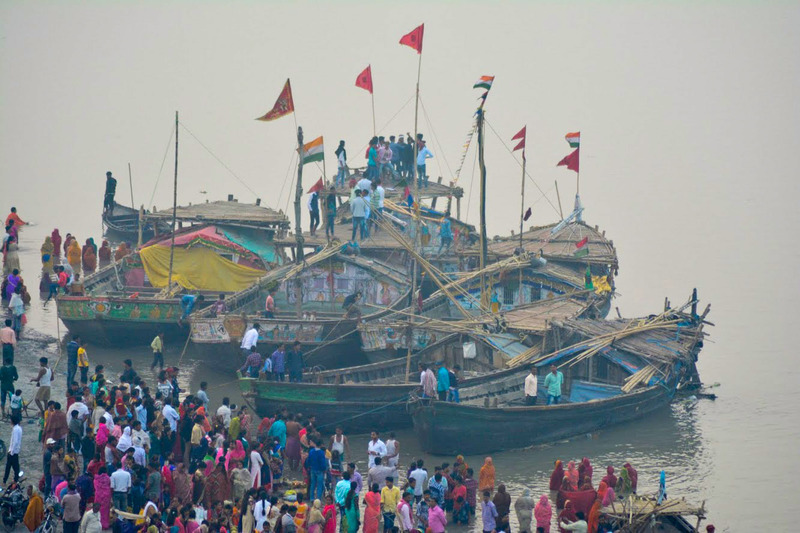 While the exact origins of Chhath Puja remain somewhat unclear. Many believe that it dates all the way back to Hindu epics of Ramayana and Mahabharata. Some even believe that the ritual of Chhath Puja may even predate the ancient Vedas texts, as the Rigveda contains hymns worshiping the Sun god and describes similar rituals in detail. Said to be a descendant of the Sun god, some say Lord Rama has a lot to do with the inception of Chhath Puja. On returning to Ayodhya after the exile, Lord Rama and Sita observed a fast in honour of the Sun god and broke it only at the break of dawn next day–a ritual that subsequently evolved into the Chhath Puja. Prominent warrior in Mahabharata, Karna is said to be the child of Sun god and Kunti. It is said that Karna religiously offered his prayers while standing in the water and distributed prasad (holy food) among the needy. Also there is another mention of how Draupadi and the Pandavas performed a puja very similar to Chhath Puja as we know today to win their kingdom back from Kauravas. 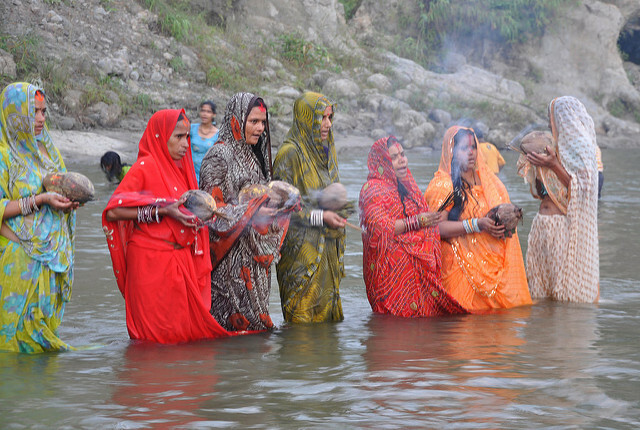 Some say Chhath Puja also has roots in science as it helps the human body get rid of toxicity. Taking dips in water and exposing oneself to the Sun increases the flow of solar bio-electricity that improves the overall functionality of the human body. Some also believe that Chhath Puja helps eliminate harmful bacteria and viruses from the body–thus preparing one for the onset of the winter season. The evidences however are very generic and its mostly faith based. The polluted waters of modern times may not offer significant benefits. You May Also Like Did Mahabharata really happen? Is Mahabharata real? The rituals of the festival are very rigorous and are observed over a period of four days. Chhath is a festival of worshipping both the setting sun as well as the rising sun. On the first day of Chhath, devotees do not consume food before taking a bath, after which they prepare food items like chane ki daal, kheer, kaddu ki sabzi among others. Devotees take a dip, in freshwater lake , pond or river like Kosi river, Karnali and Ganga, and carry home the holy water to prepare the offerings. Devotees fast till the Kharna puja concludes. After which a combination of jaggery-laden kheer and puris is offered to the gods and distributed among those who’d observed the fast. 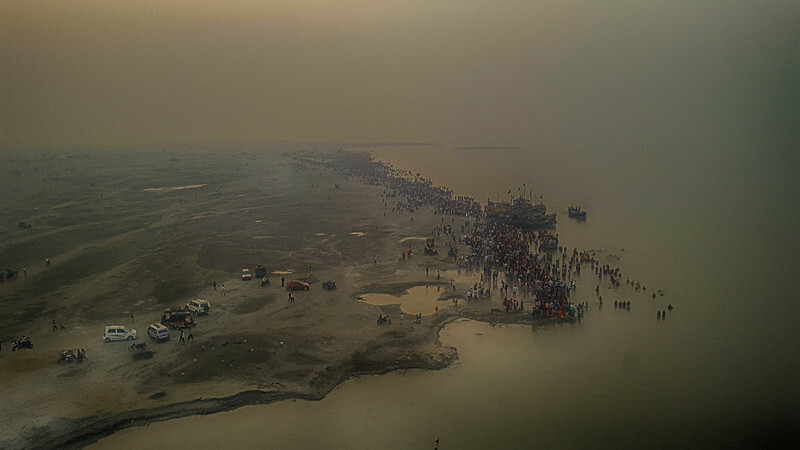 The toughest and third day of Chhath has devotees–mostly women–observe a rigid fast where they neither consume water nor food. Dedicated to Sun god’s consort, Chhathi Maiya this day is marked with folk songs and taking dips in the holy waters of Ganga, Kosi and Karnali or other make-shft waterbody and it goes on till the sun sets. 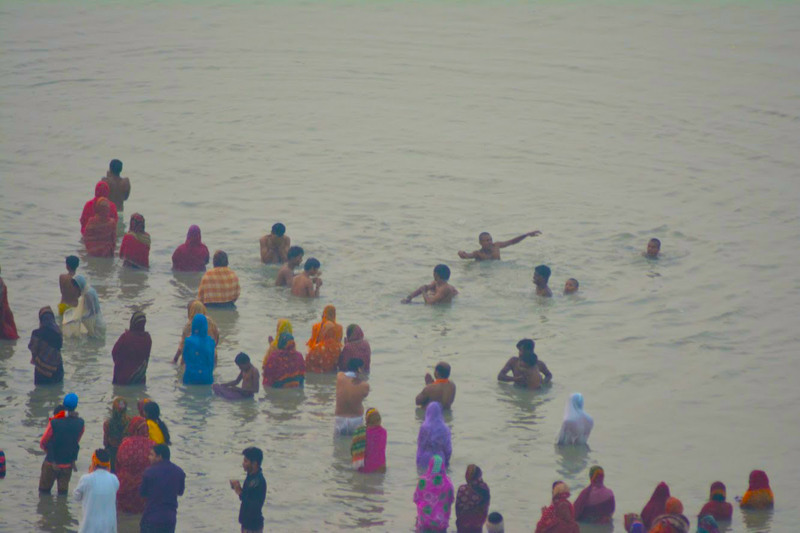 The fourth day, devotees go to the holy waters and offer morning offerings or ‘Usha arghya’ to the sun, following which they break their fast. Devotees during this period observe purity and live frugally. They sleep on the floor on a single blanket. The main festival is commemorated on the third day of Chhath, when the Sun god is offered Surya Namaskar and fruits. Devotees break their long fast after offering prayers to the rising Sun. Why Is Lord Ganesha Worshiped First In Any Hindu Ritual?